Please check back for an update on 4/26/19. We are currently accepting applications by appointment for homes to be built in Nashville (Davidson County) in 2019 and 2020 in the Park Preserve community (see details and map attachment below). 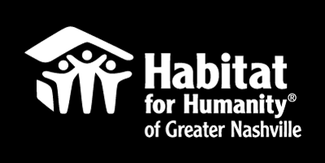 If you are interested in applying for a home in Dickson, Cheatham, or Wilson County, please refer to www.habitatnashville.org/apply for information on how to submit your application. You can complete your application and make copies of all supporting documents (page D of the application) BEFORE coming to the appointment. Download the application from www.habitatnashville.org/apply or pick up a copy from our offices. You have childcare available at the appointment time. No young children may attend. You can arrive on time and stay the entire length of the appointment. You can bring $20 per applicant in cash, check, or money order for the application fee. Appointments are not transferrable and will only be given to the person named on the sign up and their co-applicant as applicable. If all appointments are currently full, please check back regularly for more dates and times to be posted. If you sign up and need to reschedule, please see instructions in your confirmation email. If you schedule and miss multiple appointments without cancelling, we may not allow you to sign up for a period of time.